Why Do Business with Envision? Envision Benefit Specialists, LLC is a company specializing in long term care planning and benefits consulting. 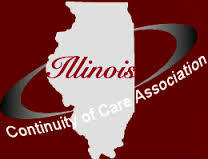 Services include long term care education and customized plan design for individuals, employer groups, and associations. The company also designs benefit plans for small businesses including; health and disability insurance, voluntary benefits, retirement plans, LTC insurance and group life and key-man insurance. Whether you are deciphering your company's current benefit package, or seeking solutions to protect assets and plan for extended healthcare services, it's easy to be bogged down in industry jargon and confusing compliance issues. Make it easier on yourself by consulting someone who can cut through the clutter and provide you with a clear explanation - a clear picture. Lori Martin and Envision Benefit Specialists provide both employers and individuals with answers and prudent solutions in the often consuming tangle of coverage for health, disability, life and long term care planning.